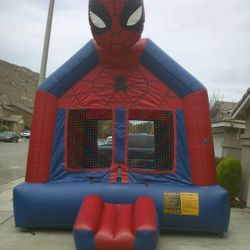 We are a family owned business who provide rentals for birthday parties, baby shower, or any event such as 13x13 castle jumpers, 11x11 jumpers, water jumpers combos, linens, patio heaters, tables, chairs, concession machines, portable restrooms and canopies 20x20, 20x30 & 20x40 20x50. Also we do draping & backdrop. We focus on safety and quality of jumpers. We offer different packages and the lowest prices here. Feel free to call or text us to get your quote 909 827-7318 Email us kbpartyrentals@hotmail.com We accept cash and all major cards. Deposit is required to book the date (non refundable). Thanks for looking out our website. Se habla español. You can add draping or backdrop to our packages. Also, you can customize your own one if you like. Fontana, Bloomington, Rialto, Colton, Jurupa Valley, San Bernardino, Mira Loma, Eastvale, Rancho Cucamonga, Loma Linda, Grand Terrance. Some of them may apply deliver fees.